I recently wrote an article for NetNewsCheck.com on the topic of building an online video channel within the confines of a traditional media business. I included a portion of the article on my blog. You can read entire article on NetNewsCheck.com. As the CEO of a traditional media company, I think a lot about building audiences these days. My company, Ballantine Communications, Inc. (BCI), owns and operates several daily newspapers in Southwest Colorado, including The Durango Herald and The Cortez Journal. For nearly 50 years, it has been a leading source of news in these areas. But like most media organizations, BCI needs new, younger audiences to continue its strong role in the community. To reach this demographic (ages 30-45), traditional news formats are not going to be an effective method of distribution, no matter the relevancy of the content. This audience is far more likely to consume news on a mobile device. In fact, they actively seek out video content to inform them on everything from news, celebrity gossip, buying decisions and life choices. So my team concluded that the right type of programming for us to launch was a local-online TV channel, which we call 4cornersTV.com (4CTV). But we internally debated: Should the content be focused solely on the interests of locals? Or should it have more universal appeal to match the information tourists are looking for when researching the area? For an organization rooted in a history of traditional journalism distributed in traditional formats, an online TV channel is an exciting prospect, but logistical questions abound. Here was our challenge: How could we incorporate the skill sets that have been cultivated through 50-years of news gathering and content creation into a video channel focused on a new demographic, in a new format with new goals while continuing our role as a prominent information outlet for the community? Is it possible to strategically allocate internal resources, like writers and photojournalists from the newspapers, to help create the initial mass of content 4CTV would need to entice viewers? Would these resources understand how to create content that appeals to a previously under-served demographic? What amount of capital investment would be needed to launch 4CTV before definitive content and operational procedures were in place? Essentially, how could BCI launch 4CTV with compelling content and the ability improve its programming on the fly but without a financial over-commitment? To successfully launch 4CTV on Jan. 27, we decided that the initial investment would have to be in talent and expertise. We budgeted to spend $25,000 per quarter. These personnel needed to produce content sought by the target audience and to manage a continuous production schedule. We found there was no substitute for the unique overlapping skill sets needed not only to produce content, but also create and manage the procedures that will be the govern the channel as a whole. The challenges in building a new channel from scratch could only be overcome by focusing on relevant content creation and by providing local advertisers with strong opportunities to market to these prospective customers through video. As we built the 4CTV team, the need for demographic relevance had to be incorporated into everything from marketing to development to composition of our production team. As we moved ahead – and continue to do so – we take every step guided by this core question: Is this content relevant to the needs of our target audience and the way they interact with digital devices? For an audience of 30-45-year-olds living in Southwestern Colorado, much of that content had to be informed by the unique lifestyle they live. In this case, this audience is active, locally-focused and drawn to the area for reasons other than a career. Check out rest of article on NetNewsCheck. I recently wrote an article for NetNewsCheck.com on the topic tablet publishing and why it seems that magazines are more innovative in this area than newspapers. I have included a portion of the article. You can read the full article at NetNewsCheck.com. Tablet computers have scaled faster than any computing device in history, and there’s no slowdown anytime soon. According to a recent International Data Corporation (IDC) forecast, 121 million were sold in 2012 and the number could reach 190 million in 2013. The top age demographic for purchasing tablets is 30-49-year-olds. Interestingly, almost as many 55-64 year olds are buying tablets as 18-24 year olds. What are the daily reading activities on these tablets? According to BI Intelligence, 30-49-year-olds read news content on their tablets 38% of the time, spending 17% on books and 6% on magazines. The core age group for most newspapers, 50-64-year-olds, read news 43% of the time, followed by 17% on books and 6% on magazines. Considering the relatively small amount of time tablet users spend on magazines, it is curious to observe what appears to be a higher level of innovation from magazines than from newspapers (perhaps driven by advertisers’ attraction to the form factor’s stunning visuals). 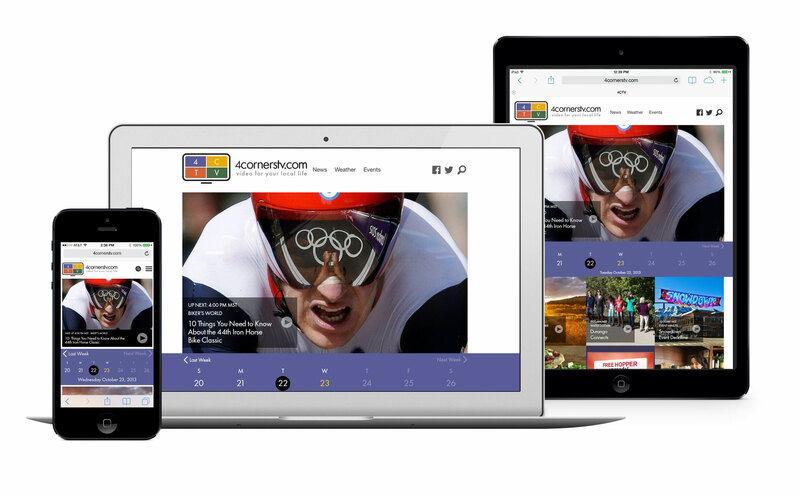 Many newspapers are currently pursuing mobile and tablet publishing by creating responsive design Web sites. This means that the exact same content displayed on a desktop website automatically re-formats to fit smaller (or bigger) screens such as tablet and smartphone screens. From a cost perspective, it is the most efficient use of resources. Rather than developing a multitude of Web sites and/or apps for different screens and platforms, a publisher simply uses one code base. This also enables publishers to avoid Apple’s App Store and its submission guidelines as an added bonus. 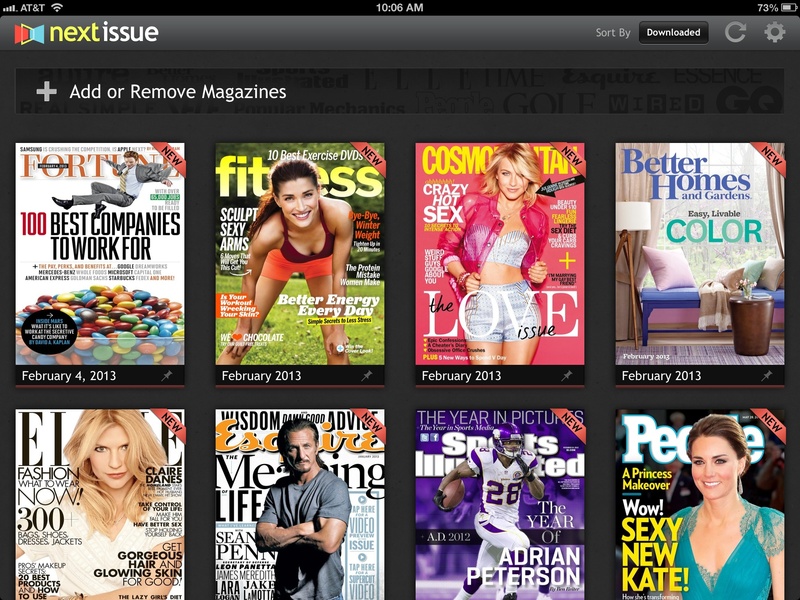 Now compare that to what’s happening in the magazine world. Among magazines’ old guard, the five largest publishers in the U.S. formed a joint venture and launched a start-up, Next Issue Media, with the specific aim to bring about innovation in the digital space. Read rest of article at netnewscheck.com.